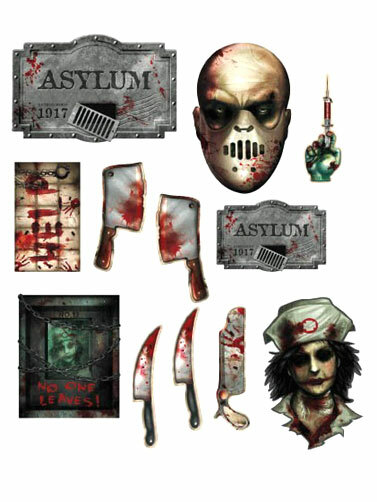 Save money and time with this value pack assortment of Asylum themed cut-outs. Vibrant images printed on both sides of sturdy paper cut-out paper. Asylum Value Pack Cut-Outs measure 7"H to 12"H in assorted shapes. 12 pc.